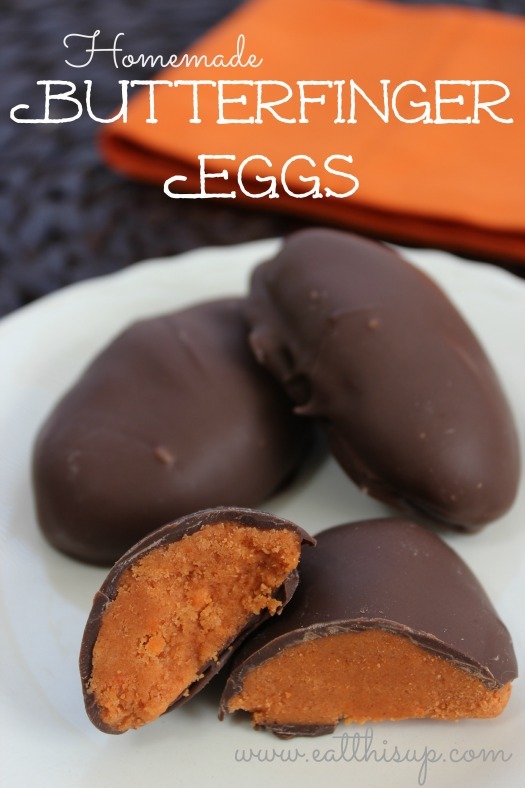 Homemade Butterfinger Eggs are easier to make than you would think. I was shocked at how much like the original or BETTER they turned out! 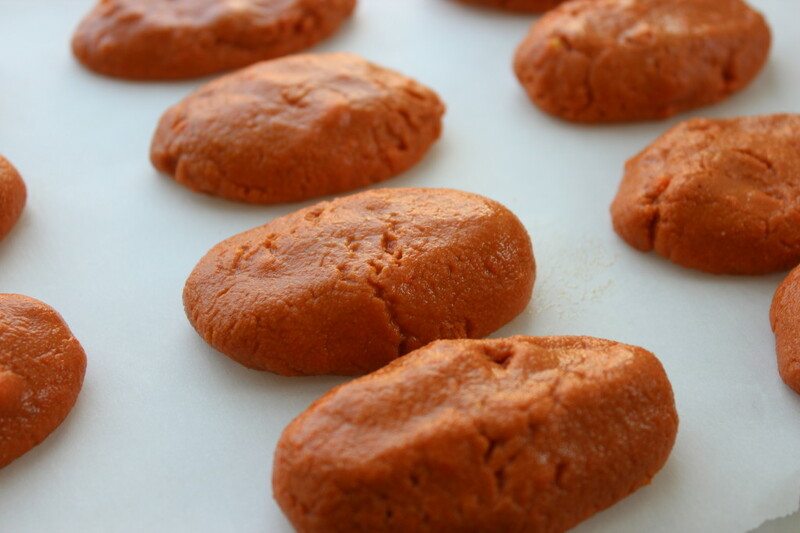 These are not difficult to make at all, and so good to eat you should make some! 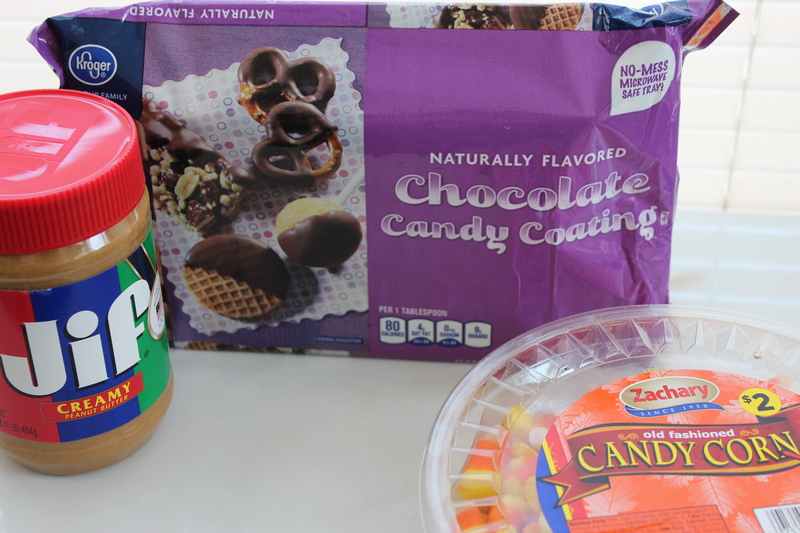 You are only going to need 3 ingredients. I am serious, only 3 If you can’t find candy corn this time of year, my dollar stores had them, and even Walmart had a bag. After microwaving the candy corn and stirring in the peanut butter you can form them to any shape. So eggs for Easter, even balls to be coated in white chocolate for baseballs! You can make anything out of them! These are even good with white chocolate coating or almond bark! I did dip some of mine twice so they had a thick coat of chocolate. Melt candy corn in microwave by heating for 30 seconds stirring and repeating until completely melted. Add in peanut butter and mix until thoroughly combined. 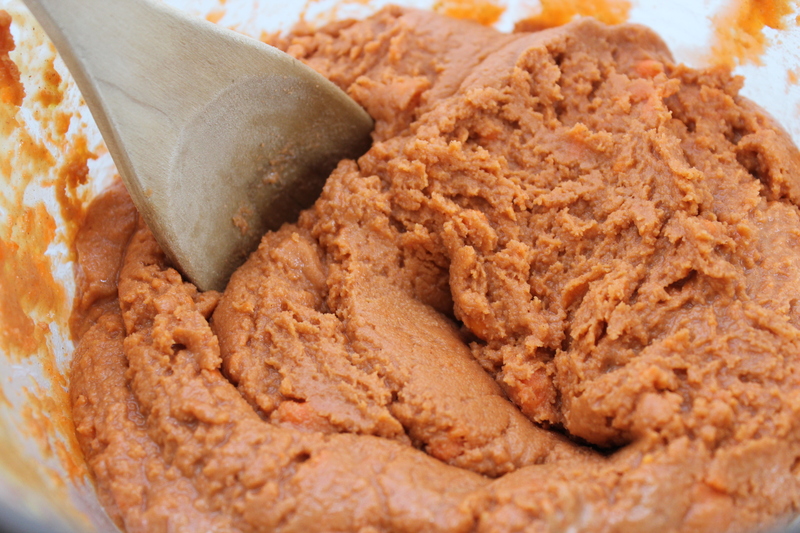 If mixture gets too hard to work with, microwave for another 30 seconds and then stir to mix. Mixture will be warm to touch, but you need to form into egg shapes and place on parchment paper. Place in freezer for to set. Ideally leave in freezer for several hours to make chocolate set up quickly in next step. Melt chocolate in microwave by heating for 30 seconds stirring and repeating until completely melted. Dip eggs in melted chocolate. Make sure to coat completely. Then return to parchment paper.